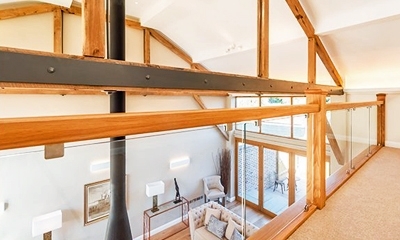 Probably the youngest of the three most popular staircase building materials (wood and metal being the others), toughened glass was only developed in the early 1900s. Now a highly popular, versatile and durable option, it’s possible to create a wide variety of staircase components from toughened glass - from balustrade infill to risers to small decorations - but why should you choose it? One chic 20th century trend that has resurfaced in a big way over recent years is that of minimalism. Originally coined in the 1950s, minimalism describes a concept of design that prizes basic, elegant shapes and rejects complex, overengineered patterns and decoration. Simplicity and subtlety have never been so stylish, and glass plays a substantial part in this trend. Understated and transparent, it can effectively complement any chosen focal point within your staircase without any fussiness or flourish. Whether due to the increasing compactness of city residences or growing concern surrounding the environment, the use of light is becoming increasingly important to homeowners. Light travels easily through glass balustrade infills, allowing you to see more of your home, so whether you wish to reduce your power usage or simply to give the impression of space, the use of reflective, transparent glass is a simple and attractive answer. Of course, colourless, transparent glass is not the only option. You can still increase the light flow through your house and complement your staircase’s surrounding fittings through semi-opaque or coloured glass options. If you wish to go bold, choose a strong tone that will pick up the light and flood your hallway with colour. If see-through is not your style, select from a range of frosted or non-transparent panels for your perfect effect. 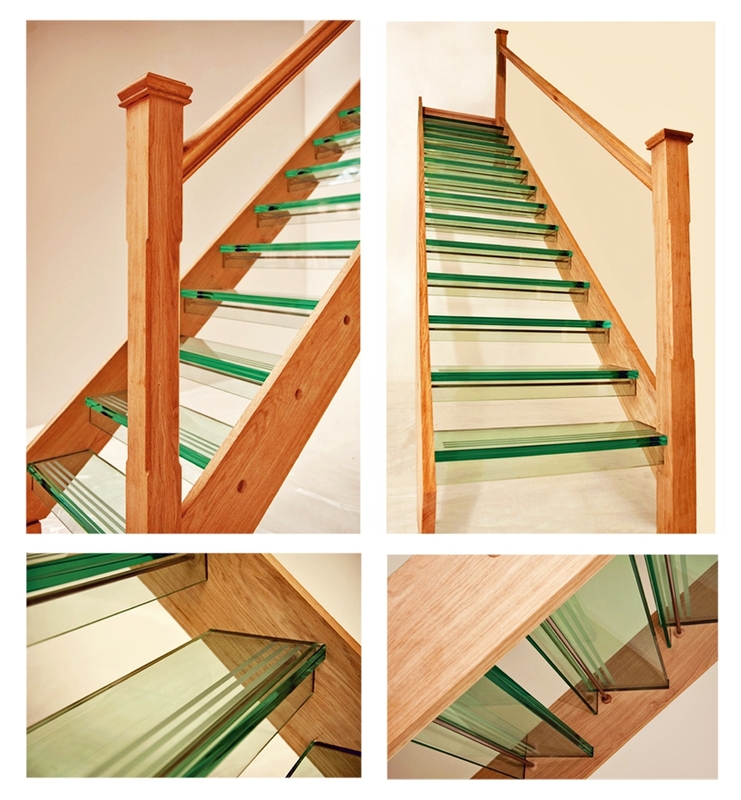 Using glass as a part of your staircase can truly give your home a fresh feel. It works beautifully alongside other materials and can really revolutionise the surrounding environment. When it comes to glass fittings, we have a variety of options available that you can try out using our StairCreator tool - an online simulator that will show you what your new design will look like and give an instant quote for the cost. Further information on glass staircases is available in our Help & Resources section.